Amazing bit of kit for the studio to get those old skool sounds! 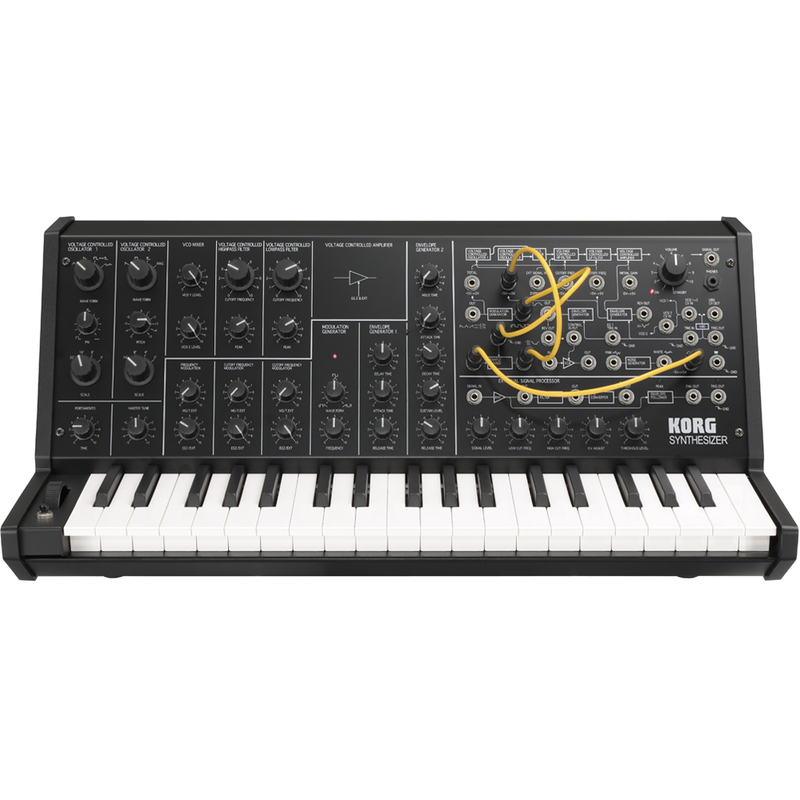 Korg’s MS-20 monophonic synthesizer, first introduced in 1978, is still a coveted instrument to this day, thanks to its thick, robust sound, its powerful, iconic analog filter, and its versatile patching options. 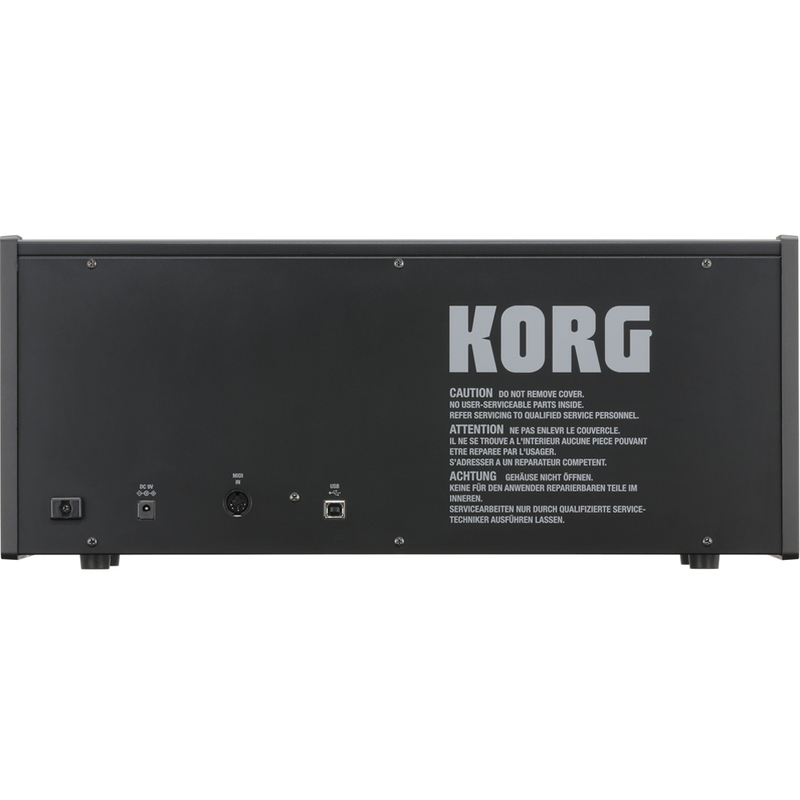 Over 300,000 people have enjoyed the distinct MS-20 sounds from the original, from Korg’s MS-20 plug-in synth, or the iMS-20 iPad app. 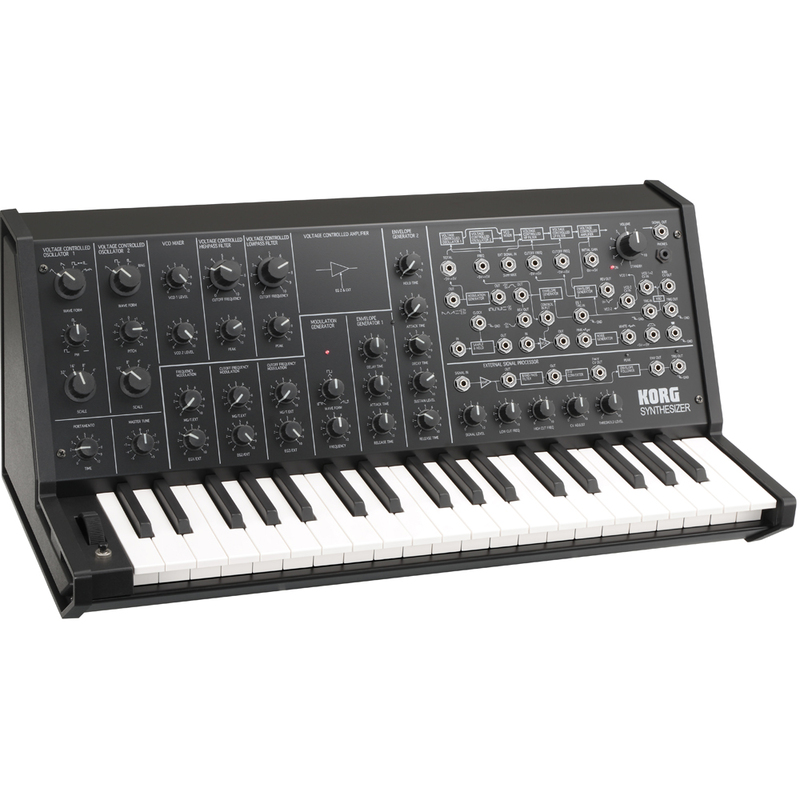 Today, the sounds of the MS-20 have been reborn in hardware, as the MS-20 Mini. 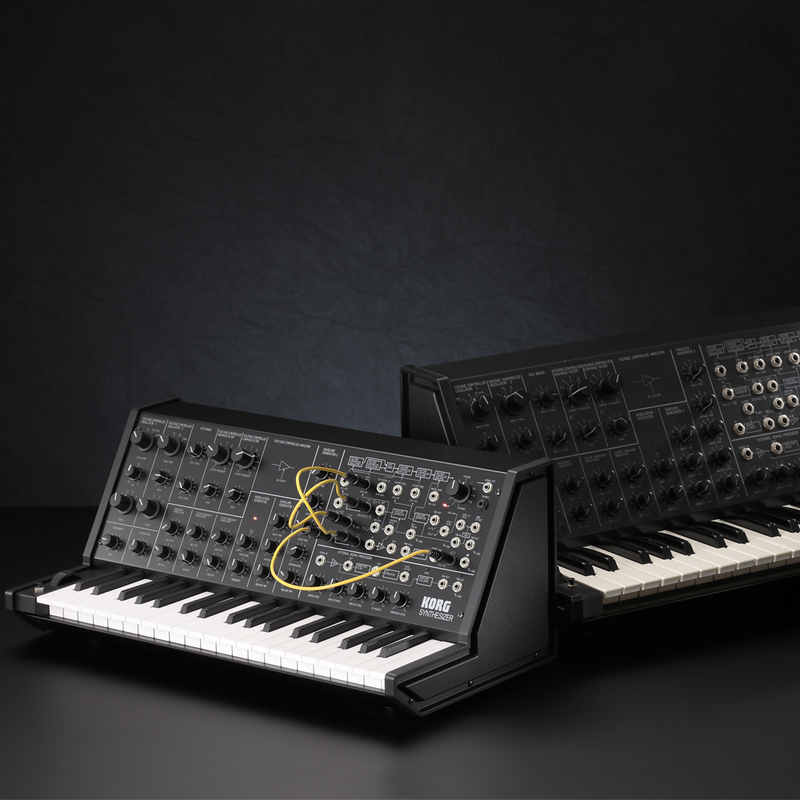 The same engineers who developed the original MS-20 have perfectly reproduced its circuitry and fit into a body that’s been shrunk to 86% of the original size, yet retains the distinctive look of the original. 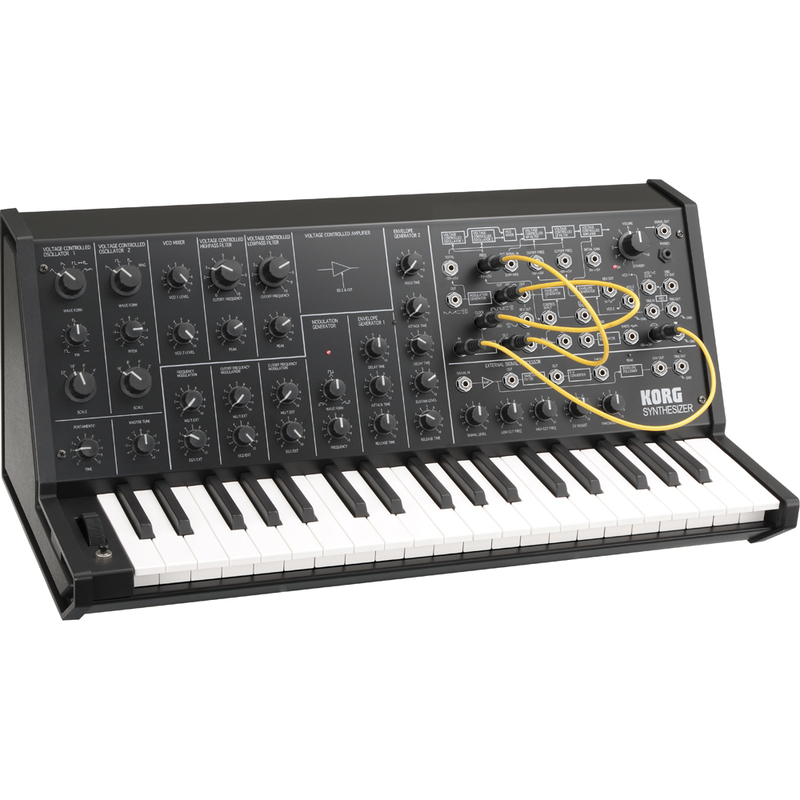 The MS-20 mini will amaze you with its absolutely authentic analog synth sound. Weight 4.8 kg / 10.58 lbs.